I haven't been wearing many graphic tees lately, they are weirdly one of the only things banned by my work's dress code. 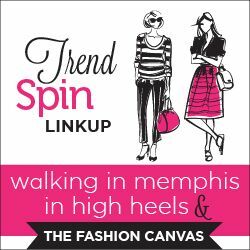 I'm pretty sure the list only includes hiking boots, ripped jeans, and graphic tees. But then Skip and Whistle offered to send me this adorable owl tee and I had to rethink my graphic tee stance. I mean, I weirdly love owls. From where I'm sitting right now I can see at least two owls. I may have a problem. P.S. you guys, fall is almost over. Just about all of the leaves are off the trees on my street. And we've been talking holiday plans and making Christmas lists. I saw a snow flurry last week. Winter is coming, and not in a Game of Thrones way. No, Winter, nooooo! I'm not ready! 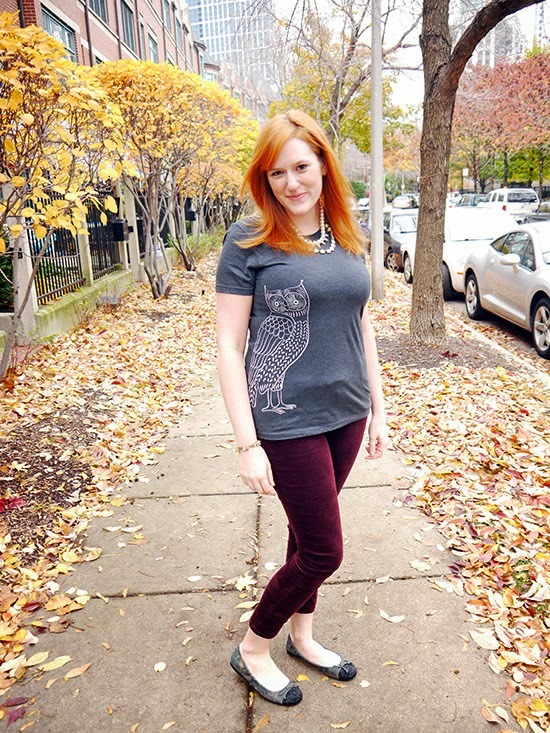 Love your adorable owl tee! SO CUTE. What a cute tee! And I love the color of your pants :) And the GoT reference. Cute! I love the placement of the owl. I am obsessed with owls right now--like everyone else! You look great, love your style. 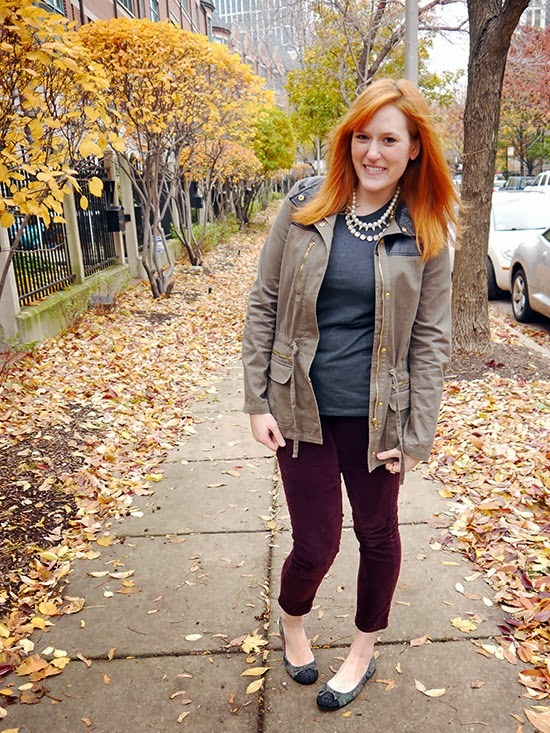 Love your fall-ready look Kristina....& the backdrop of leaves is BEAUTIFUL!!!! I'm so not ready either! Those pants are the perfect burgundy color and your jacket looks fantastic with them!